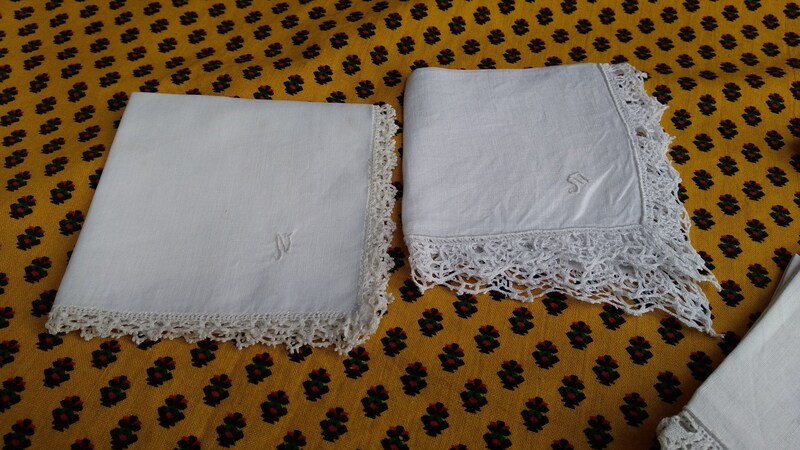 2 Antique white bride handkerchiefs. 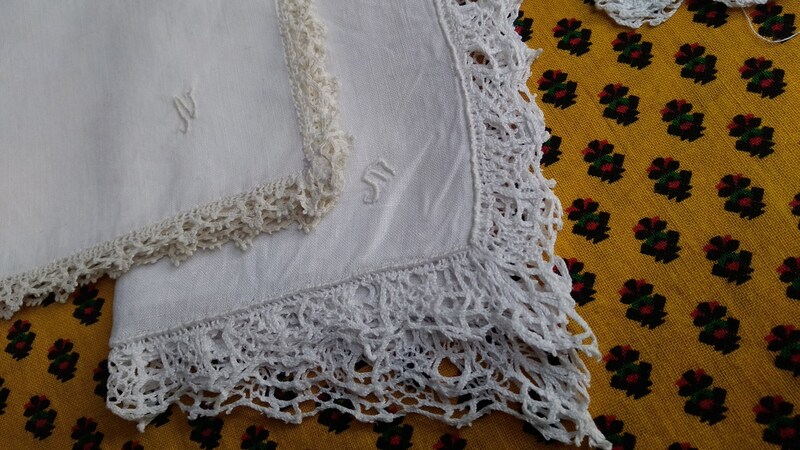 Monogrammed Hand Embroidered. 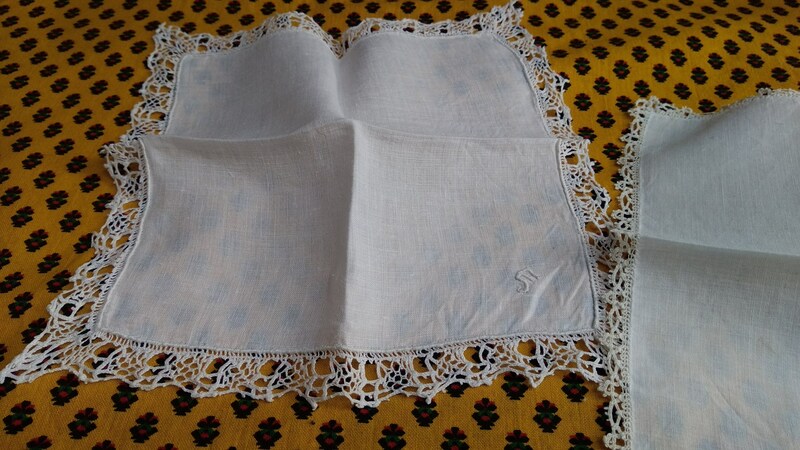 French Linen made bobbin lace trim. 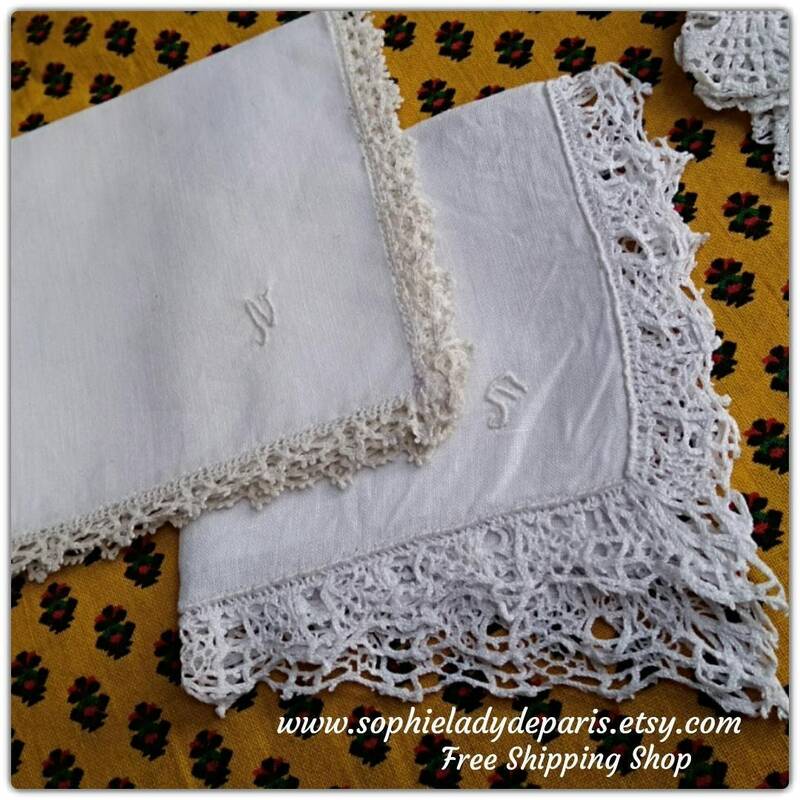 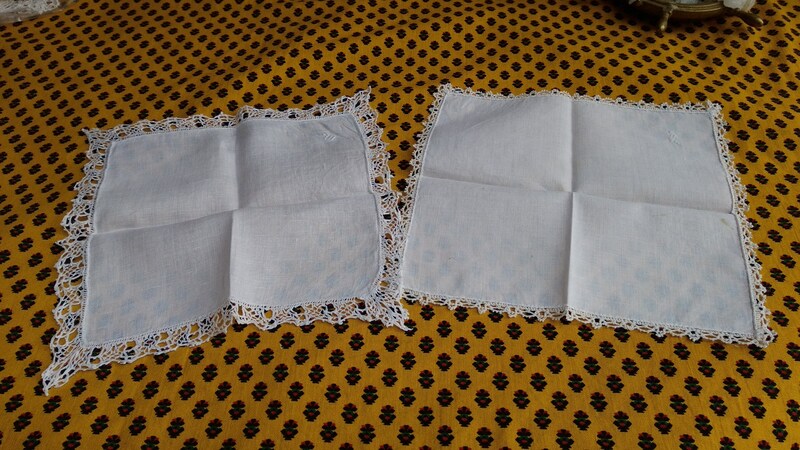 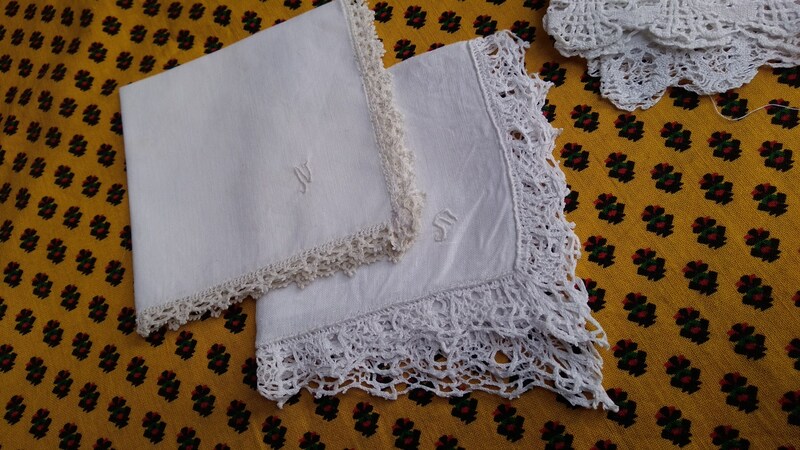 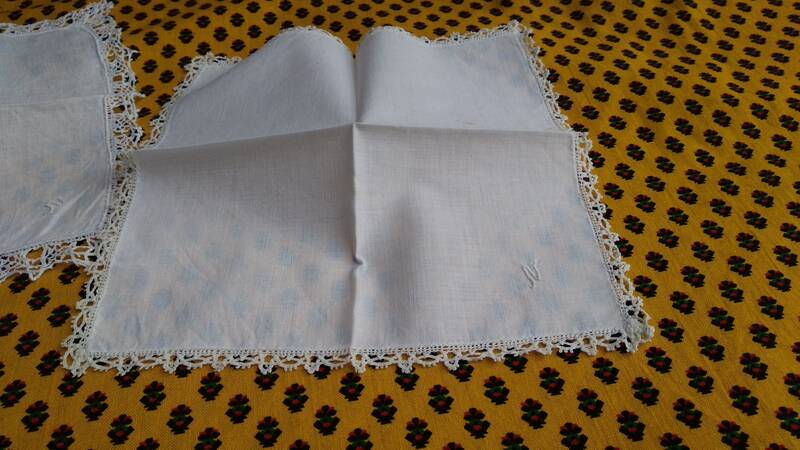 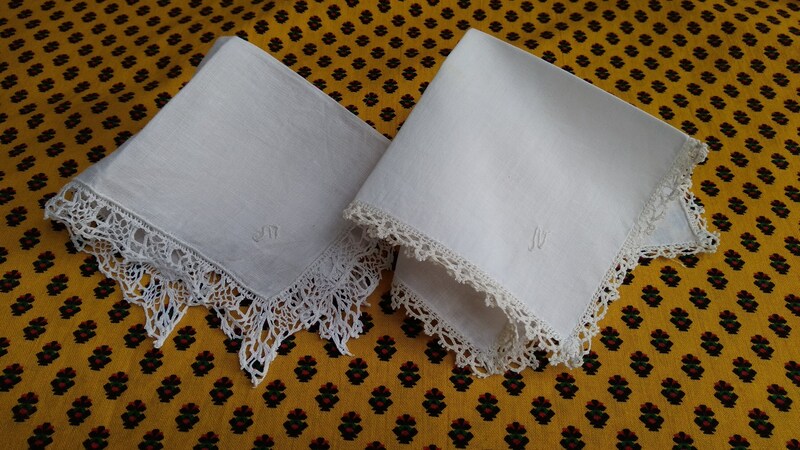 Set of 2 lovely antique handkerchiefs for bride or to keep as collectible.